Nowadays you can’t think of bathroom culture without thinking of showers – refreshing in the morning, relaxing after work in the evening. By far most apartments and houses have a separate shower cabin. However, the bathtub can usually be used as well for taking a shower, but it does require proper equipment. Just add a shower curtain or partition and a shower set with hand shower plus hose and you can start having a good time. Let`s not forget, the daily shower ritual´s purpose is not only care of health, but also relaxation and quality of life. The trend is currently set around flat shower trays and so called walk-in showers. Those are particularly comfortable, easy to access and thus perfectly suited for barrier-free bathrooms. 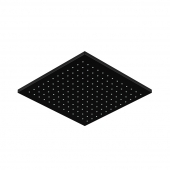 The usage of a shower tray is recommended nonetheless for the barrier-free experience, since the water itself can drain off more easily and the cleansing is causing significantly less trouble compared to showers with tiled floor. Natural shades are dominating in regards to color design. Light-colored tiles make the bathroom shine in a more bright and friendly light, a walk-in shower visually enhances the size of the room immensely. Alternatively, white colored bathroom equipment is a timeless classic, that can be combined elegantly with other shades of color. Buy comfortable online for particularly attractive prices and grant your bathroom a touch of glamour. We can serve with adequate systems for old and newly built houses, flush- or on-wall mounted. With xTWO you can find various shower sets, complete shower systems, modern rain showers, appropriate attachments and much more, just take a look at our goods. 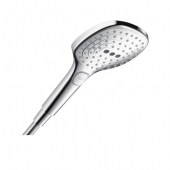 Shower heads are generally available in numerous shapes and sizes. We offer models with round, square or rectangular heads as well as long drawn-out hand showers, which stand out due to their slim layout. Oftentimes the water jet can be regulated via adjustable spray options. The final choice of product depends largely on how a bathroom is set up and personal preference. Shower pipes, e.g. the series Crometta or Raindance Air by Hansgrohe, consist of head and hand shower as well as flexible the shower hose. 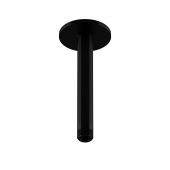 The hand shower holder is adjustable in height to adapt to body size. 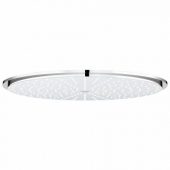 The most natural shower feeling is usually accomplished by investing into a rain shower or raindance shower, with large size shower heads being provided. These exclusive shower heads and shower systems enjoy increasing popularity and enhance the status of your bathroom; obtainable in oval and square formats. Due to air being blended into the water drops showering suddenly feels like experiencing a suave and warm rain shower. It´s a safe bet to say, you probably won’t stop showering for quite a while. 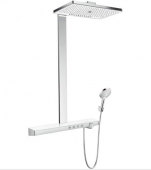 The xTWO online shop offers models made by Hansgrohe (amongst others the series Raindance Select and Rainmaker Select), Dornbracht, Grohe (Series Rainshower) and Jado (Series Generic). It is recommended to pay attention to adjusting the drains in the bathroom appropriately during installation, since the water flow rate of raindance showers is very high compared to conventional ones. Moreover, make sure to monitor the average water consumption of your raindance shower to-be, even though most premium products can be adjusted manually in regards to the water usage. Shower panels, such as Pharo by Hansgrohe, are available as wall- or corner versions and provide maximum comfort. Die shower heads and remote control elements are installed directly on the panel and create a very compact unit. For this reason, installation is usually rather straightforward and quickly done. 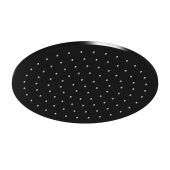 Panels can be utilized for massage settings, thanks to the shower heads´ various optional spray adjustments. The temperature controlling thermostat is integrated into the panel, too. A little less compact, but very comfortable as well are shower sets which have the head shower firmly mounted on shower slide bar, offered for example by Kludi with their series Joop and New Waves. A second, downsized shower head enables most flexible application. 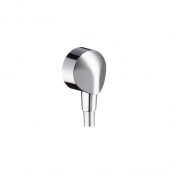 Besides tightly arranged shower systems xTWO also provides single shower slide bars, manufactured by Keuco and Ideal Standard, or sets, such as the Grandera series by Grohe, including slide bar, adjustable shower head and shower hose. Let`s suppose your bathroom is limited in space for mounting a full shower set, perhaps because of a pitched bathroom roof. No problem at all, xTWO can provide sleek and handy solutions in form of shower hose sets, amongst others produced by Dornbracht. The shower head is already furnished with the hose, can be clipped upon the appropriate wall-mounted holder and easy to grab with the hand. Feel free to rummage in the shop, see the vast variety of options for yourself. xTWO is your competent partner all around the bathroom.